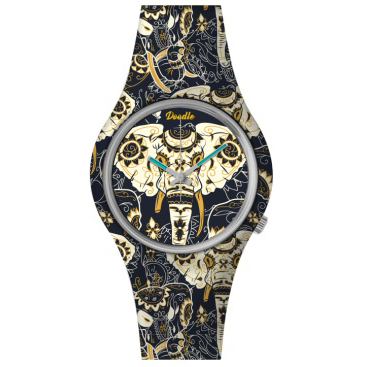 This gorgeous Dragon and Orchid watch symbolize the contrast of two worlds. 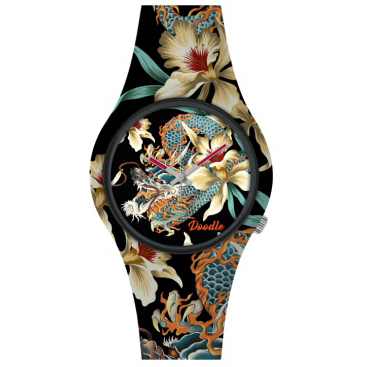 The dragon is a symbol of power, strength, and good luck while the orchid is most highly coveted flowers representing love, luxury, beauty and strength. 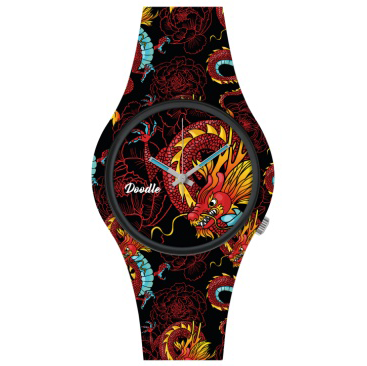 This Dragon and Orchid Doodle watch amazingly represents both sides. 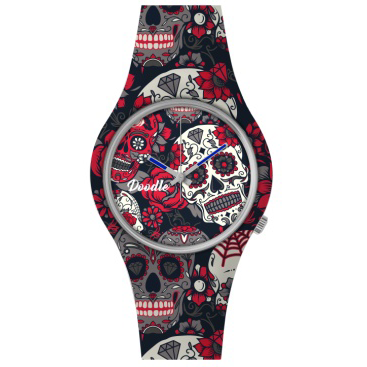 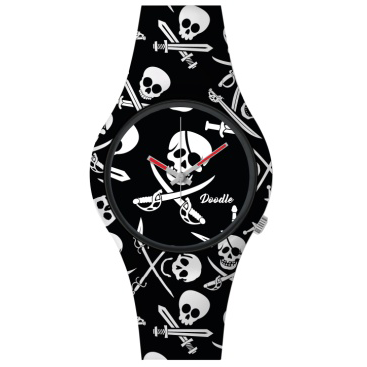 Express all your personalities by wearing this watch from the Dragon Mood Collection.